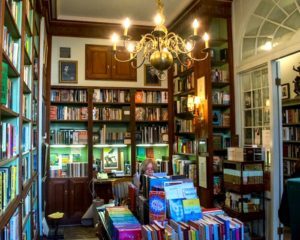 To provide high quality literary programming combined with the unique cuisine and music of New Orleans for the general public of our region and our visitors. Secondary goals are to help preserve the storytelling heritage of the region and call positive national attention to New Orleans as an intellectually and culturally stimulating destination. 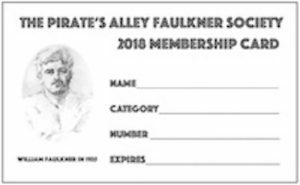 Current membership is approximately 5,000, including writers, academics and other professionals who support Society goals and occasionally contribute time and talent or money to the organization. Active members who consistently contribute time, talent, cash or in-kind services/products total about 2,000. The Society has members in every American state as well as Australia, Canada, England, France and Japan. Its members are about equally divided between men and women and ranging in age from 15 to 92. Membership encompasses every profession and is open to all regardless of ethnic origin, race, religion or political persuasion. is due entirely to the quality of its active membership, its board and its Advisory Council, all heavily weighted with dedicated professional men and women and volunteer activists. We could not produce the high quality Society literature we produce, for instance, without the pro bono contributions of professional writers, public relations and advertising personnel, graphic designers, typesetters, printers, journalists, attorneys and teachers, who are important factions in our support network. The Society is governed by a small Executive Board and a larger Advisory Council. Members of the Executive Board include founding directors Joseph J. DeSalvo, Jr., W. Kenneth Holditch, and Rosemary James, along with Executive Board Chair, Anne Simms Pincus. Other Directors currently include Dorian Bennett, Jack Davis, Janet Haedicke, Elizabeth Simms Hise, Phillip Jennings, Pamela Lott, E. Quinn Peeper, and Scott Simmons. Members of the Advisory Council are community leaders and patrons of the arts who give the Society the benefit of their wisdom, experience, and talent in such areas as revenue development, business organization, project planning, and event coordination. Current members include Adelaide Benjamin, Margarita Bergen, Robert Olen Butler, Nancy Cater, Jeanie Clinton, Lolis Elie, Randy Fertel, Rob Florence, Alexa Georges, Michael Harold, Mary Helen Lagasse, Ira P. Middleberg, Theodosia Murphy Nolan, Ronald Pincus, Josephine Sacabo, Mona Lisa Saloy, Bertie Deming Smith, David Speights, Shari Jean Stauch, Judith “Jude” Swenson, Peter Tattersall, and Dalt Wonk. Financial goals for each project are established and evaluated. Records of revenues and expenditures are maintained. Up-to-date lists of members and potential members are on computer. Positive relationships are maintained with necessary suppliers. Cash revenues are improving as the result of development planning. Planning is done by the Executive Board and key members of the Advisory Council and the committee chairs for Words & Music and the annual fundraisers, Juleps in Juneand Faulkner for All! Input is solicited from all active members. Primary planning is done in quarterly sessions. Projects are presented in concept to the Executive Board for approval and/or suggested changes or refinements. The Executive Board and Advisory Council meet together to evaluate projects at their conclusion. Basically, we consider ourselves successful if we meet an established goal. So far, we are meeting all of the goals established at founding. Ultimately, of course, as a non-profit organization recognized in the 501 (c) (3) category by the IRS, the Society is accountable to the Internal Revenue Service from the standpoint of fiscal integrity. Professional assistance is provided pro bono for appropriate filings. The Executive Board of Directors is the decision-making body responsible for recording revenues and expenses, filing tax returns and reports, dispersing funds, and providing continuity of management. Executive Board membership is available to interested men and women who contribute in excess of $1,000 per year in cash and $1,000 documented in-kind goods or services and who are nominated for board membership by founding directors. The Executive Board meets monthly. Once a quarter, the Executive Board combines with the Advisory Council for planning sessions. Advisory Council membership is available to men and women who contribute in excess of $1,000 per year in cash or in-kind goods or services. The Advisory Council was created for men and women with experience in business, the arts and volunteer activism, men and women who want to participate in a leadership role but on a less demanding basis than the Executive Board. Members of the Council are nominated by founding directors, who received suggestions for nominations from all board members. Writers Advisory Council: Recently, the Society organized the Writers Advisory Council to assist the Society in its literary and educational projects. This group meets with Society administrators as often as necessary to assist with programming of such projects as Words & Music, A Literary Feast; The William Faulkner – William Wisdom Creative Writing Competition, and Happy Birthday, Mr. Faulkner! Membership is by invitation of the Executive Board. Members include writers from various areas of the country. The Mississippi Committee: The Society also receives advice and patronage from arts and education activists in Faulkner’s native state, Mississippi. Membership on the committee is by invitation from the Society. Past chairs of this committee have included Lynn Crosby Gammill of Picayune and Hattiesburge, Dr. Robert Barnes and Dr. Bettina Barnes of Natchez, Peyton Prospere and the Hon. Grady Jolly of Jackson. Current chair is Elizabeth Simms Hise of Jackson.